NORTHBROOK, Ill., May 15, 2018 /PRNewswire/ -- Astellas is pleased to announce that Bernhardt G. Zeiher, M.D., F.C.C.P., F.A.C.P., ("Bernie"), was promoted to Chief Medical Officer (CMO), effective April 1, 2018. 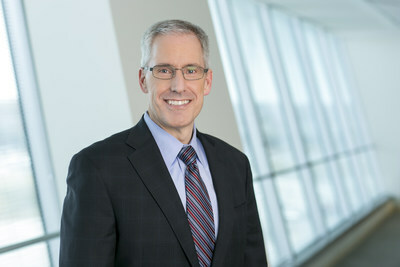 Zeiher will continue serving as president of Development, while now also overseeing all other functions of Astellas' Medical and Development (M&D) organization, including Clinical and Research Quality Assurance, Medical Affairs, Pharmacovigilance, Planning & Administration, and Regulatory Affairs. Reporting directly to Astellas president and CEO, Kenji Yasukawa, Ph.D., Zeiher will join the company's top executive leadership team. He will continue to lead the organization from Northbrook, Ill., Astellas' headquarters for M&D and its Americas operations. In his new role, Zeiher will focus on further integrating and enhancing Astellas' delivery of its global innovative pipeline and driving support for the appropriate use of its products. "I am honored to lead the Astellas M&D organization during this critical time," said Zeiher. "As we embark upon a new Corporate Strategic Plan, it is my goal to continue and further implement the corporate vision of turning innovative science into value for patients." Zeiher started his career at Astellas in 2010 as vice president and Therapeutic Area leader for Inflammation, Immunology and Infectious Diseases. He was promoted to senior vice president and Therapeutic Area Head for Immunology, Infectious Diseases and Transplant in 2012. Zeiher was later named executive vice president and Therapeutic Area Head when his organization was expanded to include the company's CNS and Pain programs. Most recently, Zeiher was promoted to president of Development in 2015. Prior to joining Astellas, Zeiher served as the vice president of the Inflammation/Immunology therapeutic area at Pfizer. He earned his Doctor of Medicine at the Case Western Reserve University School of Medicine, and completed an internal medicine residency at University Hospitals of Cleveland as well as a fellowship in Pulmonary and Critical Care Medicine at University of Iowa Hospitals and Clinics. Zeiher is a Fellow in the American College of Physicians and the American College of Chest Physicians. He has worked in the pharmaceutical industry since 1998.